According to a recent judgment of the Hon’ble Supreme Court, the scheduled tribe status of a person is state specific, except for the Central Government and the Union Territory of Delhi. In this context another important issue craves attention. Tribals constitute a little more than 10 per cent of the country’s population. Historically they are amongst the weaker sections of society and keeping in view their vulnerability, susceptibility to exploitation and general backwardness, besides a distinct cultural identity, special provisions in the nature of safeguards have been kept in the Constitution. Art 342. “Scheduled Tribes- (1) The President may with respect to any State or Union territory, where it is a State, after consultation with the Governor thereof, by public notification specify the tribes or tribal communities or parts of or groups within tribes or tribal communities which shall for the purposes of this Constitution be deemed to be Scheduled Tribes in relation to that State or Union territory, as the case may be”. Art 244. 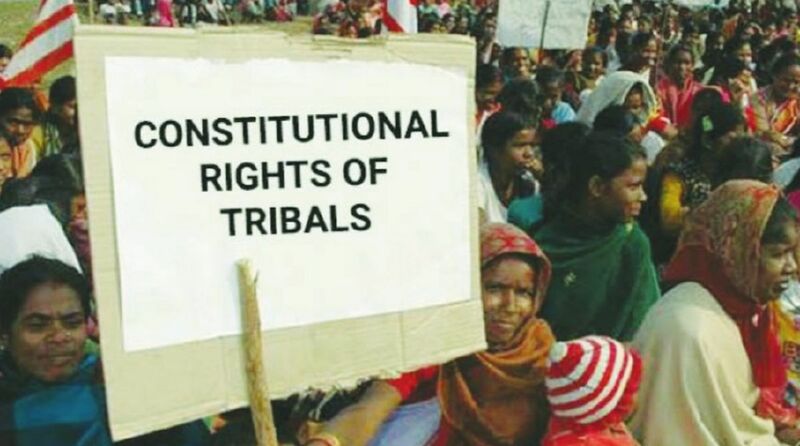 “Administration of Scheduled Areas and Tribal Areas – (1) The provisions of the Fifth Schedule shall apply to the administration and control of the Scheduled Areas and Scheduled Tribes in any State other than the States of Assam, Meghalaya, Tripura and Mizoram”. Article 244 (2) covers the tribal areas of North East through the provisions of Sixth Schedule in the States of Assam, Meghalaya, Tripura and Mizoram. The 5th and 6th Schedules were added to the Constitution to ensure that the poverty and backwardness of those areas could be particularly addressed and the tribals could be taken care of and paid special attention by the State as even during the pre-independence days such areas had remained completely neglected. As such it emerges that we have a schedule of tribals notified under Article 342 by the President, which currently has about 700 listed tribal communities. This Article operates independently of Article 244 i.e. the 5th and 6th Schedules. Thus, it may be observed that there are a large number of tribals notified in the schedule but they are neither from Schedule 5 nor Schedule 6. 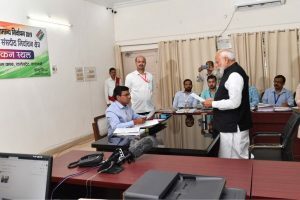 We thus have clearly two groups, firstly the Scheduled tribes belonging to Scheduled Areas and secondly scheduled tribes belonging to non-Scheduled Areas. Such a classification does not exist in our Constitution and the benefits of the Article 335 for reservation etc. are given to all on a uniform basis. Over the years, it has been seen that the Scheduled tribes from non-Scheduled Areas are relatively and historically more advanced and they have been cornering most of the benefits. On the other hand the tribals from Scheduled areas who are truly backward, have grown in relative poverty and also recognized as such by the Constitution (creation of separate Scheduled areas) get left behind. In the overall interest of development of tribal areas under 5th and 6th Schedule the issue perhaps needs to be revisited for a fairer distribution. The writer was Governor of Uttarakhand and Meghalaya, a member of the UPSC and Commissioner of Police, Delhi.